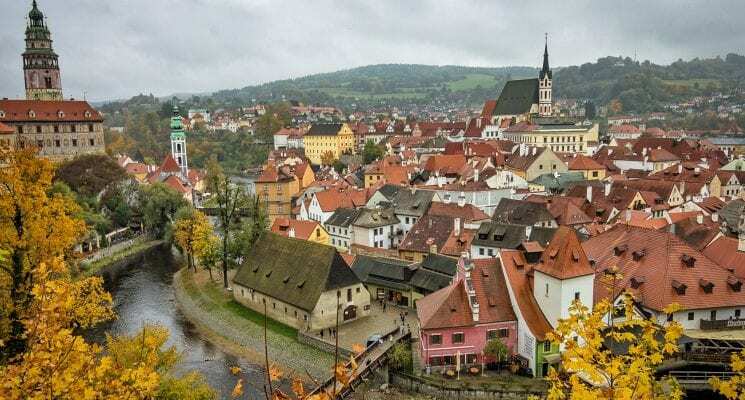 If you can only take one single day trip from Prague Cesky Krumlov is the place to go. 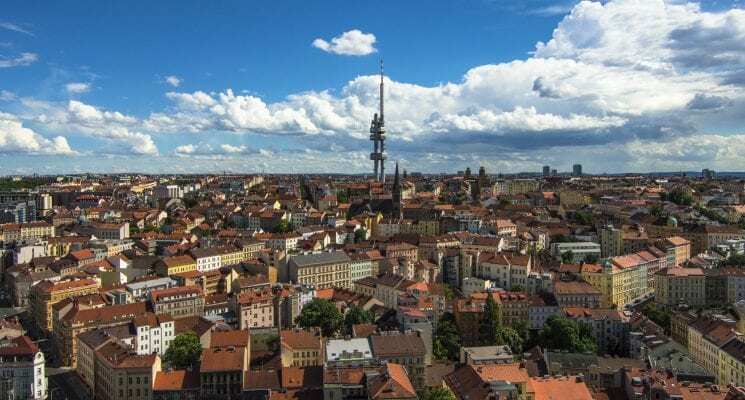 There are a great many things to do in Prague, but there are also a million reasons to take a day trip out of the Czech Republic’s capital city. And Cesky Krumlov is reason number one. This almost impossibly beautiful little city is located in Southern Bohemia, not far from the Austrian border. The city is roughly bisected by the Vltava River, which does a few sharp bends through the old town area. 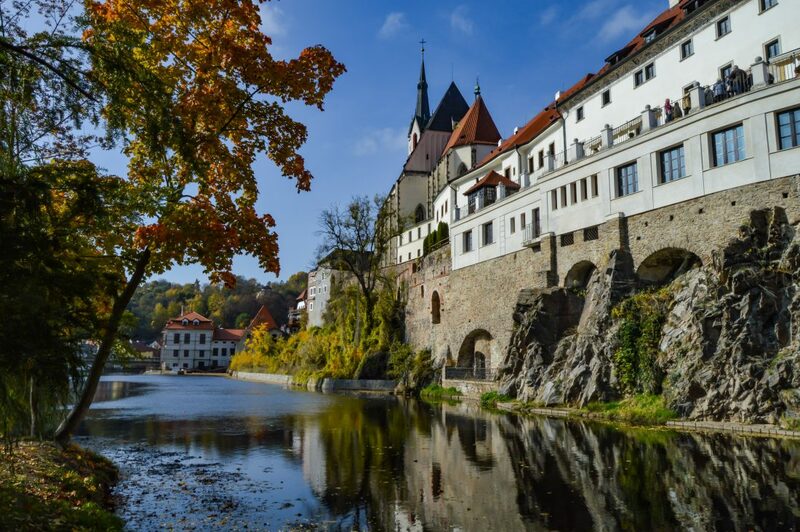 Cesky Krumlov’s exquisite castle is strategically placed high above the river, overlooking the picture-perfect historic city center and the hills beyond. It’s, quite frankly, as if a fairy tale town jumped out of the illustrations of a book and into reality. Over the centuries, the city was owned by one royal or noble family after another, including the long-reigning Přemyslid dynasty. The greatest impact was made by the Rosenberg family (in Czech, Rožmberk). 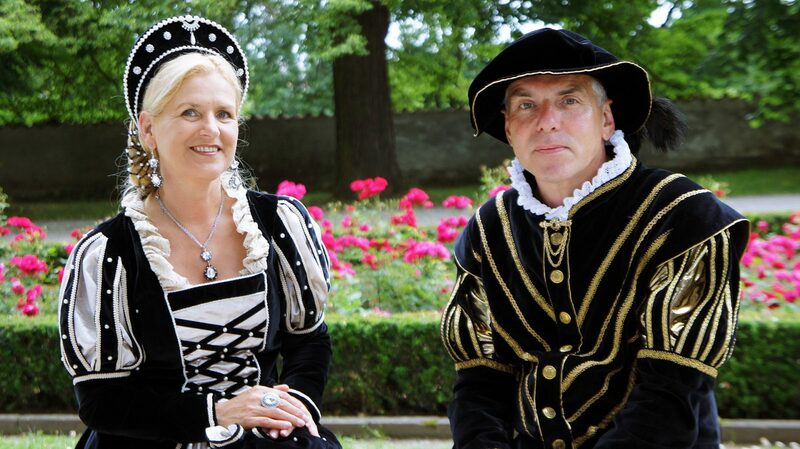 This family owned the city from the 14th century until just barely into the 17th, expanding the city’s territory and building many a Renaissance structure, as well as renovating the castle. The series of families who took over after the departure of the last of the Rosenbergs maintained Český Krumlov’s unique character, fortunately for the townspeople and visitors. In 1992, the city was entered into UNESCO’s World Heritage List. 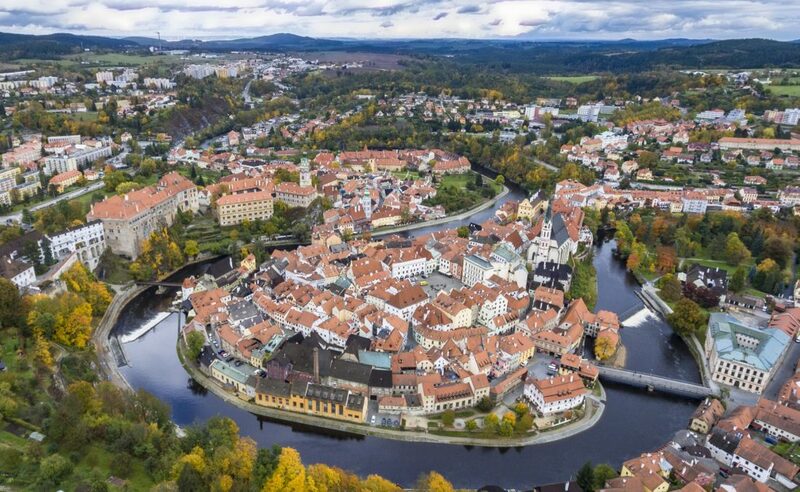 There is certainly no lack of things to do in Český Krumlov. The city makes the best and fullest use of its considerable charms, and though things do tend to shut down in winter, the rest of the year is overflowing with places and events that appeal to a wide range of visitors. So if you are visiting the Czech Republic and have time to take only one single day trip from Prague, make sure to visit Cesky Krumlov. 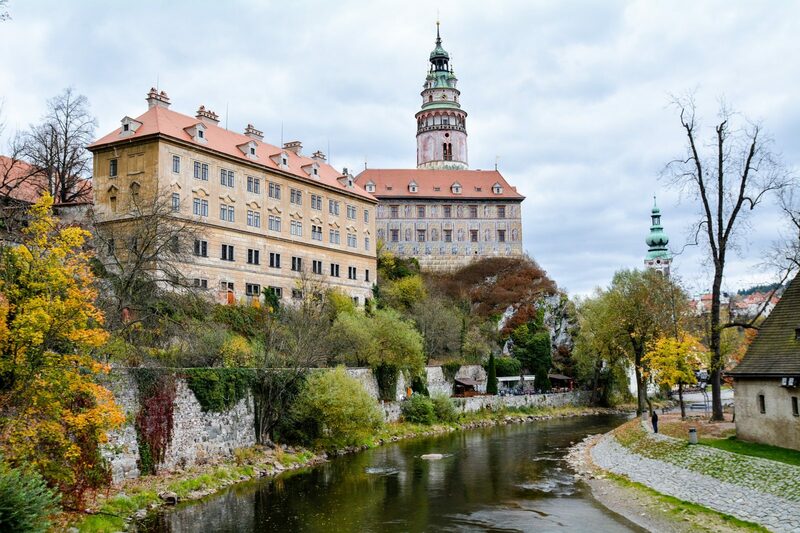 From Prague to Cesky Krumlov By train: If you are traveling by train, only one train per day (departing from Prague’s main station at 8:01 a.m.) travels directly to Český Krumlov. The others require you to change trains in České Budĕjovice, taking a much smaller commuter train. Surprisingly, even when you do need to change trains, the journey will only be less than five minutes longer. The trip will take almost three hours; once you arrive, you can either walk or take a taxi to the city center. From Prague to Cesky Krumlov By bus: Buses run directly from Prague’s Na Knížecí station to Český Krumlov. As with the train, the trip takes about three hours. The advantage of taking the bus is that you will end up in the center of the city, making it much easier to find the accommodations you so sensibly booked in that area. 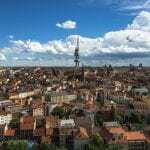 From Prague to Cesky Krumlov By car: The drive from Prague to Cesky Krumlov should take about two hours and fifteen minutes. To check car rental prices in the Czech Republic click here. For information on where to park once you arrive, click here. 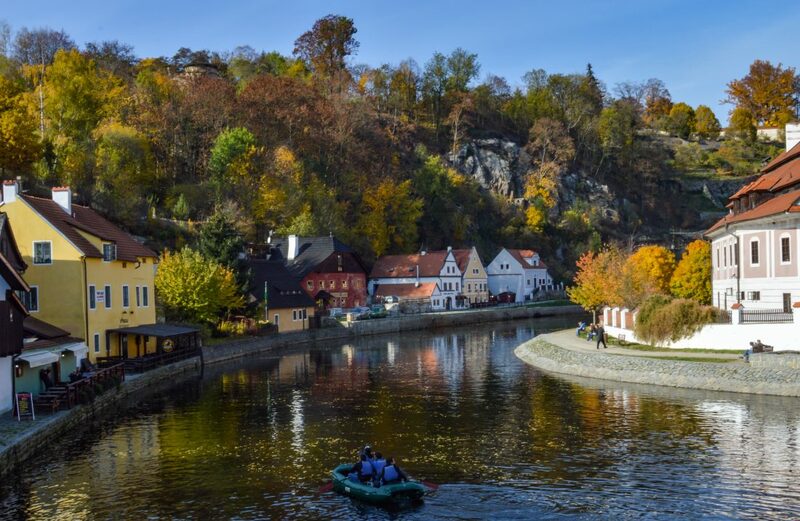 Given the city’s distance from Prague, not to mention the plethora of attractions, it would makes sense if you opt to take a few days to explore Český Krumlov. And there are many options as regards places to stay. Hotel Bellevue – The highly-rated Hotel Bellevue is in the historic center, which in and of itself is a recommendation. Rooms range from the Superior Room to the Presidential Suite. The hotel offers concierge service, a L’Occitane store, and guided tours, among other services. For more information or independent reviews click here. Penzion Faber – Penzion Faber (http://www.krumlovhotels.cz/faber_e.php) is in the same beautiful neighborhood as the Hotel Bellevue. It offers 3 double rooms, 1 triple, and 3 suites. Highly rated by visitors. For more information or independent reviews of Penzion Faber click here. Hostel 99 – For budget accommodations, you might try Hostel 99. Dorms, twin rooms, double rooms, and one private room are available at this location near the castle. The hostel is one of three businesses; a restaurant, Hospoda 99, is next door, while Deli 99 is across the street. If dining out isn’t in your budget, the hostel has a kitchen available. As an added attraction, you can enjoy a free beer on Wednesday! For more information or independent reviews for Hostel 99 click here. 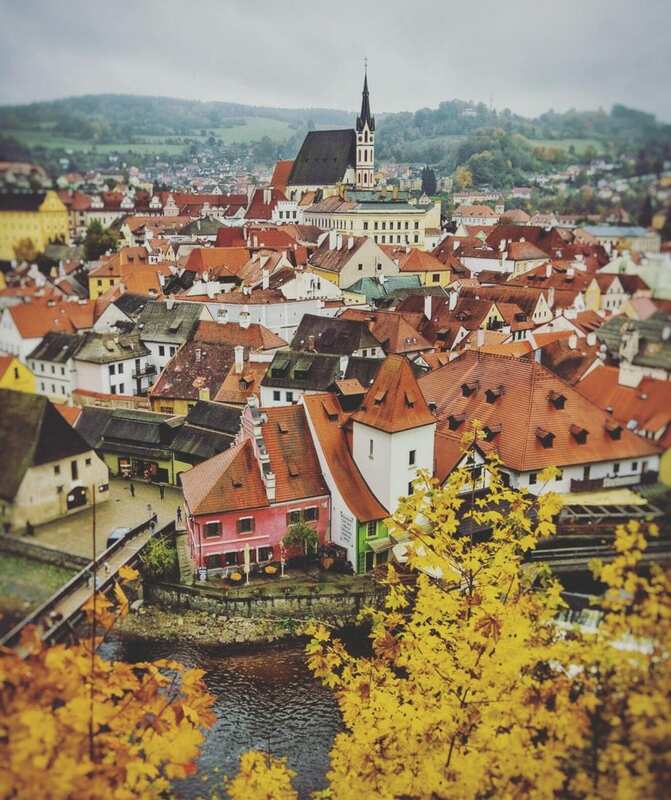 Ideally, if you could visit at any point in the year, we recommend heading to Cesky Krumlov in the fall. Autumn brings an amazing riot of color which only adds to the fairy tale nature of this gorgeous town. Winter in Cesky Krumlov can be pretty cold and very gray, but you also have the chance to potentially see snow covered rooftops, which is a site you won’t ever forget. Winter will also have the lowest amount of tourists, outside of the few weeks leading up towards Christmas. Cesky Krumlov has a wonderful little Christmas market so if you are into those December is a great time to visit Cesky Krumlov, and the Czech Republic in general. Summer will give you the best weather but also the largest crowds in Cesky Krumlov. If you can avoid visiting the Czech Republic in July and August you probably should, unless large crowds of tourists don’t faze you. There is certainly no lack of things to do in Český Krumlov. The city makes the best and fullest use of its considerable charms, and though things do tend to shut down in winter, the rest of the year is overflowing with places and events that appeal to a wide range of visitors. The Cesky Krumlov Castle is, of course, a major draw. Founded in the 13th century, it is the dominant feature of the city. Several areas within the Cesky Krumlov Castle complex can be visited without the need to buy a ticket for a guided tour. One of the nicest attractions of Cesky Krumlov Castle is the castle gardens, which cover 10.87 hectares (approximately 27 acres), in which you can take a long stroll. Cesky Krumlov Castle tours are given most of the year, though some of the tours only run from early spring to late autumn. There are two Cesky Krumlov Castle tours, the 17th-century castle theater, the tower, the stables, and more. Prices for the tours in 2018 range from 40 Czech crowns (discounted) to 950 (for families, with a foreign-language commentary). 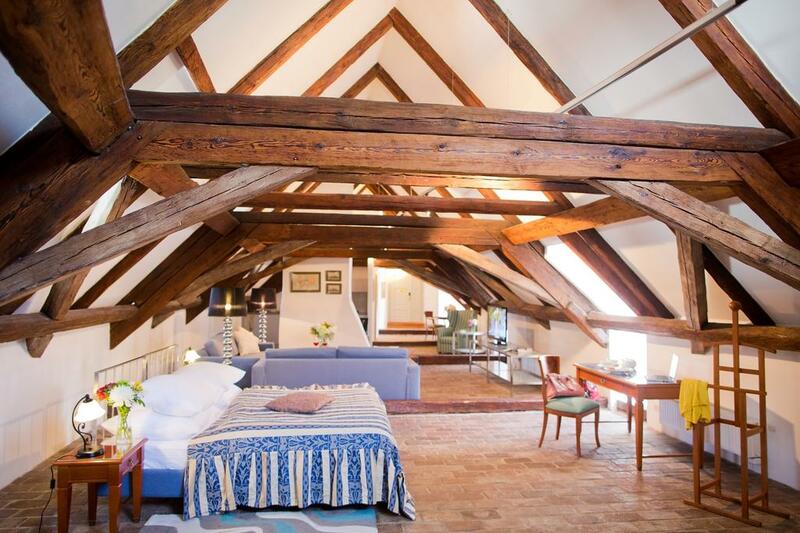 Click here for a list of tours, dates, and prices for the Cesky Krumlov Castle. 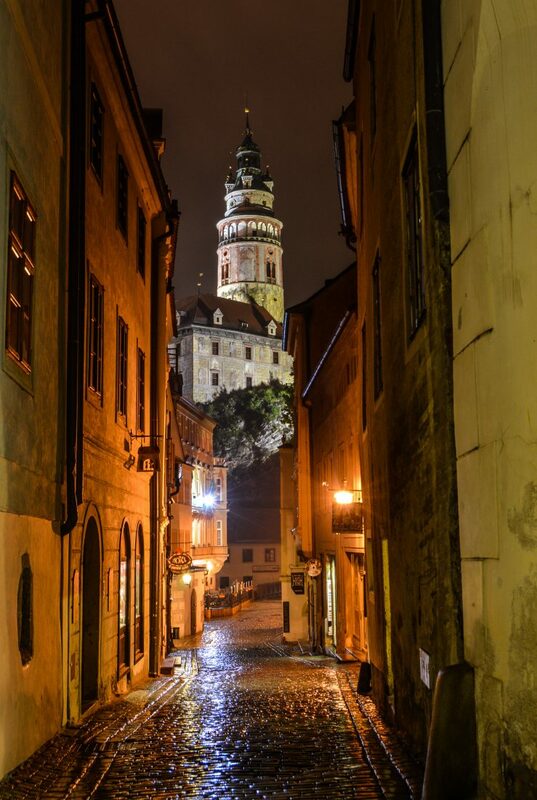 While you are enjoying the ambiance of Cesky Krumlov Castle keep your eyes peeled. It’s said to be haunted by the ghost of Perchta Rosenberg, the White Lady. Perchta, who fled from her husband’s vicious treatment, refused to forgive him as he lay dying. Her husband then cursed her to haunt the family’s estates. If you see a blonde woman wearing a white dress, she may be an actress – or a wraith. Walking tours are a great way to quickly explore a city’s best sites, discover all of it’s charms, and even learn about some of its hidden secrets. 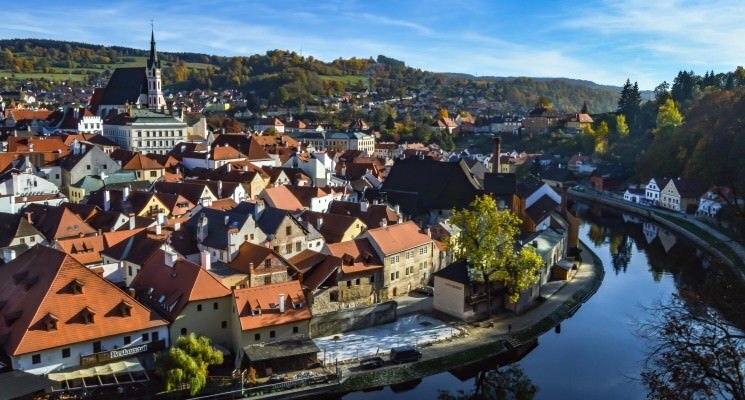 Cesky Krumlov is no different, and given it’s small size a walking tour is an excellent way to learn about the city’s history and see all of it’s main attractions in just a few hours. We highly recommend a walking tour with Oldřiška Baloušková. 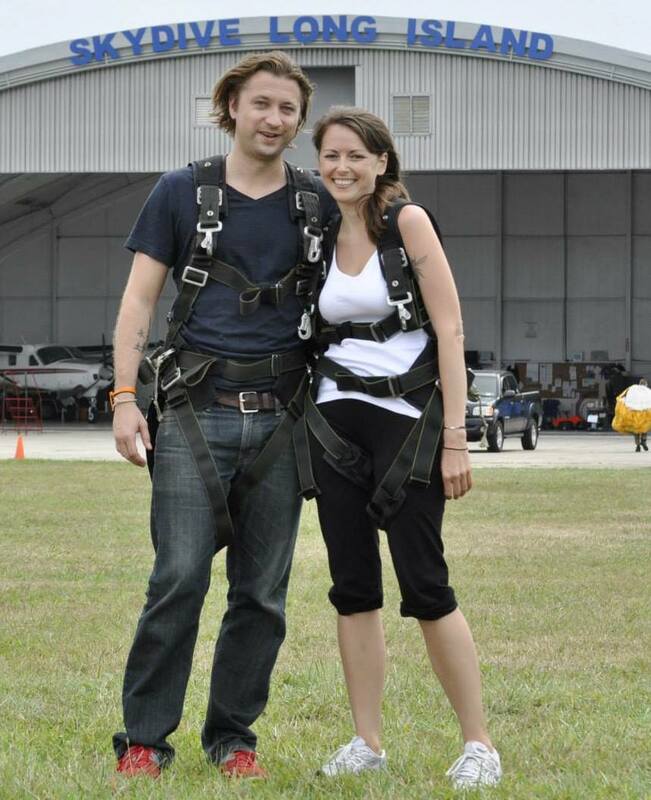 She offers customizable tours tailored to the groups wishes and is a fantastic guide. 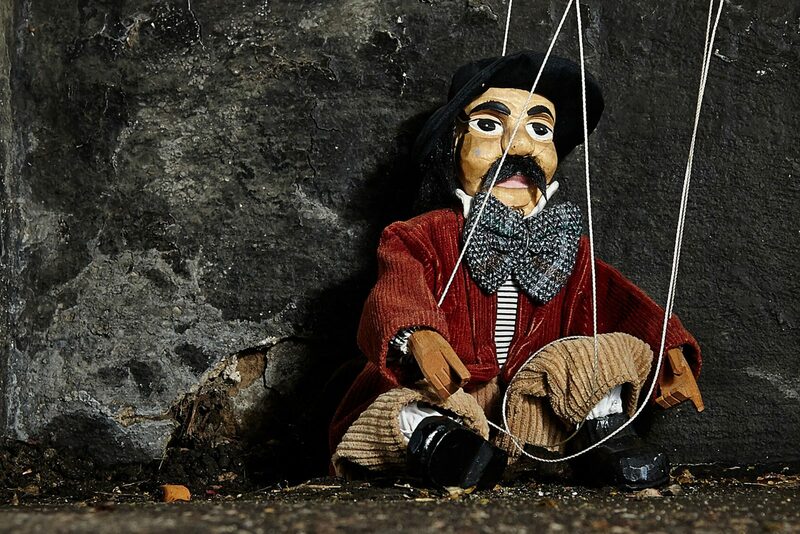 Elsewhere in town, the Marionette Museum highlights – what else? – marionettes. With more than 200 exhibits, the museum is certainly comprehensive. One of the exhibits is a complete and still-functioning Baroque marionette theater. If you’d like a marionette of your own, the museum also sells them. The website is hit and miss as regards its English-language pages. 2018 prices are 40 Czech crowns for children, 50 for students, and 80 for adults. A family ticket (2 adults and no more than 4 children) costs 190 crowns. Special group tours can also be arranged outside the museum’s regular hours. To see the city in an entirely different way, you may want to take a wooden raft cruise. These cruises, which last 50 minutes, take place from May through October, and include a commentary about the city’s history. The cost is 450 crowns person. Groups can book special cruises (cost: 4,500 crowns). You can also rent kayaks and canoes and float down the Vltava River peacefully. We highly recommend everyone try this at least once. The Muzeum Fotoatelier Seidel is a joy for all those interested in photography and/or history. Josef Seidel was a well-known photographer of his day (late 19th and early 20th centuries) who was a pioneer in the use of the Autochome technique, an early form of color photography. Josef died in 1935, whereupon his son, František, took over the family business. The museum, located in Josef’s former studio, pays tribute to father and son – and commands a stunning view of the city. You can have your photo taken in period costume, as well. Audio guides in English are available. The website is in Czech and German only. The Revolving Theater is another unique feature of Český Krumlov. After everyone is seated and the entertainment begins, the seating area revolves around the stage. Plays not performed in English will have subtitles available in English and German. The link will take you to this year’s program, featuring (among other things) Dracula, The Decameron, and the classic Sherlock Holmes mystery The Hound of the Baskervilles. The Five-Petalled Rose Celebrations take place every year. This Baroque-themed festival is rich in events: Baroque dancing, a torchlit parade, fencing, juggling, medieval music, an open-air market, and much, much more. The festival takes place every June. Now in its 27th year, the International Music Festival Cesky Krumlov features performers from all over the world. Swing performances, the music of Leonard Bernstein, and Gregorian chants are among this year’s offers, as is a tribute to Czech composer Leoš Janáček, 90 years after his death. Tickets can be purchased online. There you have it guys. As you can see Cesky Krumlov is wonderful, and totally worth AT LEAST a day trip from Prague. 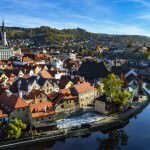 Take this article as a starter guide to visiting Cesky Krumlov and build your own adventures using this information as a foundation. As always, safe travels, and we’ll see you on the road! 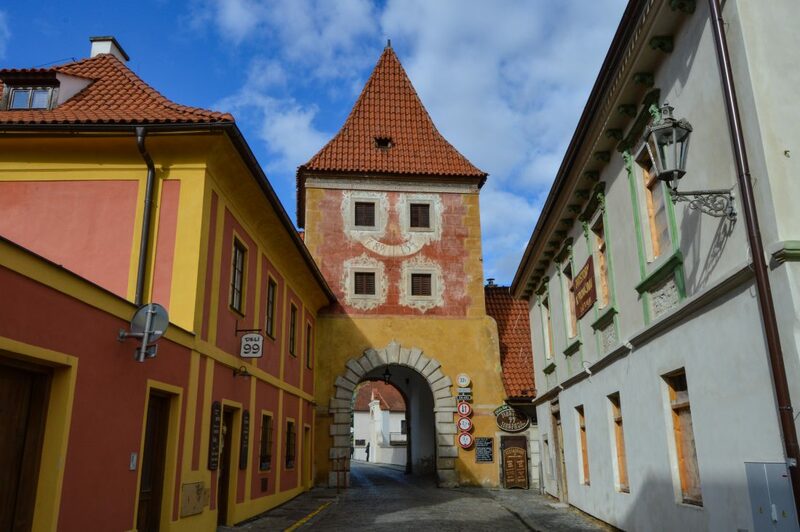 Like This Article About the Best Things to Do in Cesky Krumlov? Pin It!